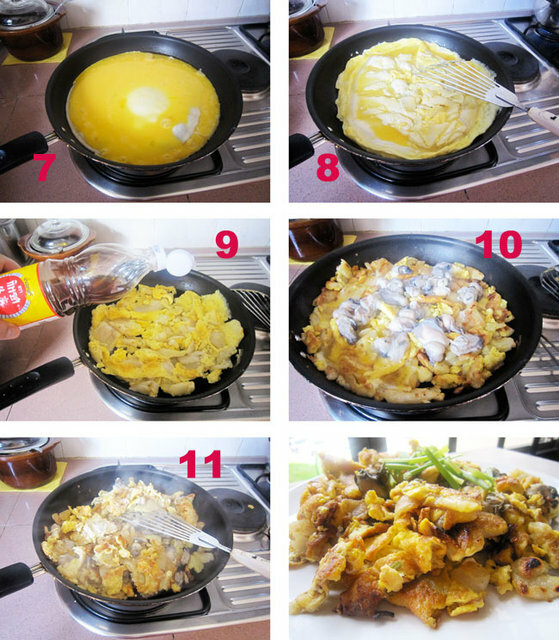 actually its supposed to be called "O-Chian" not omelette. Recipe was from Pauline Loh aka mrs Cang. She described this dish and how its to be prepared and cooked during lunch time at a hawker centre. We ordered a plate of O-Chian and were very displeased with the way its cooked. So i ask Pauline what was the right way to do this. 1. mix the starch with water, stir till well mixed. 4. Scoop a ladle full of starch mixture and pour onto the hot pan. 5. 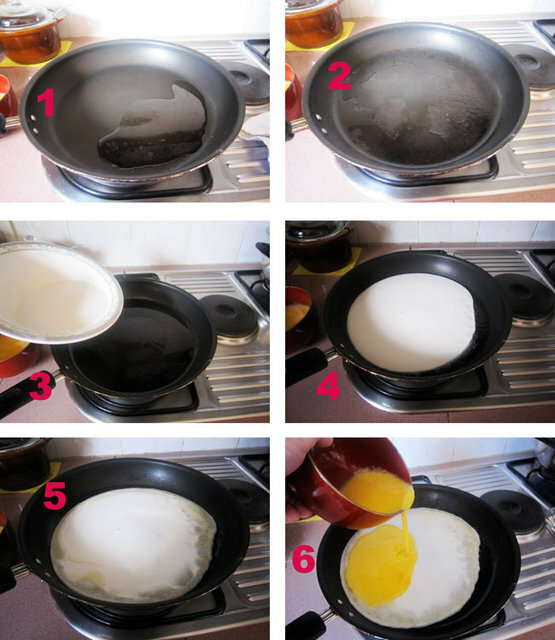 When it starts to crisp on the sides of the pan, pour egg mix on top. 6. Let it cook for a while about 1 min or so. 7. Add some oysters on top. 8. Next, pour the remaining starch mixture on top and rest of oysters. 9. Slowly flipped it over to crisp the other side. Er....the water...you stated 100g, so I weigh them or its a typo error, should be 100ml ? want to try this recipe out, but just wanted to find out, what's the difference between using sweet potato flour and tapioca flour? Sweet potato flour is pale grey in colour and coarse. Tapioca Flour is white and powdery. 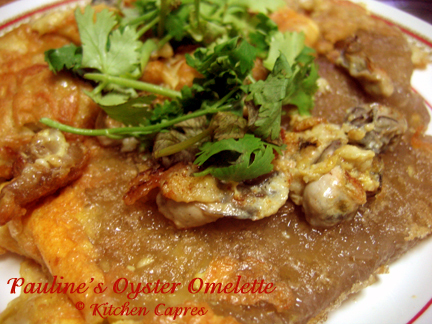 cannot substitute or the omelette may not have the same texture, taste. Hi gracio , thanks .I will try it .